As a skincare junkie I spend a lot of time (and money) trying out new skincare products. I've been testing out the It's Skin Power 10 Formula WR Effector for a few weeks now and wanted to share my results with you all. It's Skin offers a variety of these "power effectors" to help with different skin needs like whitening, sebum control, pore care, etc. I wanted to try the wrinkle effector to help prevent wrinkles from appearing too early. "Essence containing caviar and mistletoe extract can reap the synergy effects of wrinkle care and resilience functions of adenosine, which visibly diminishes creases and recovers the lost resilience of skin to give a youthful look." After toner I apply a few droplets of this on my hands and gently pat this serum to my skin to fully absorb the whole product into my skin. After a few weeks of using this product day and night I didn't notice anything to help with wrinkles (not that I have any anyways) but my skin did look/feel hydrated. Maybe? Even thought it didn't do that much to get rid of wrinkles it still nourished my skin in different ways, like brightening and hydrating. 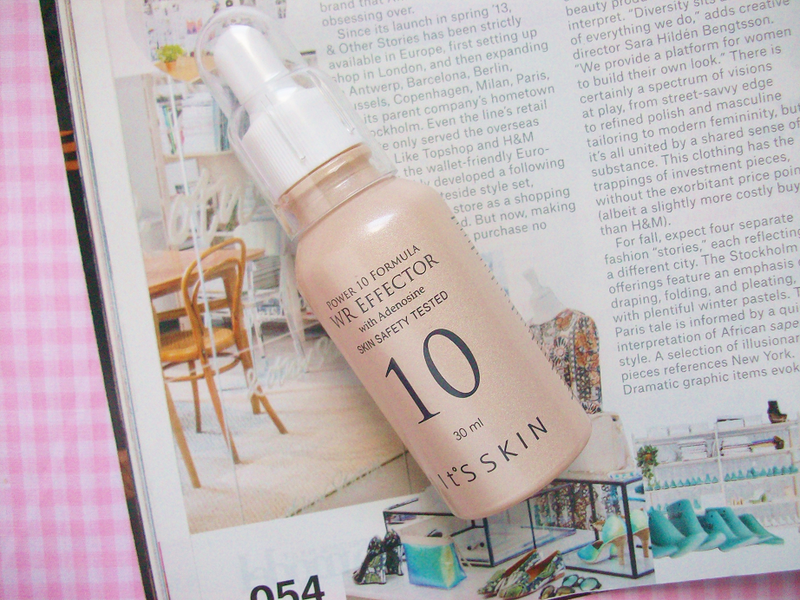 Next time I would like to try a different It's Skin 10 formula effector bottle to see if it would work better. 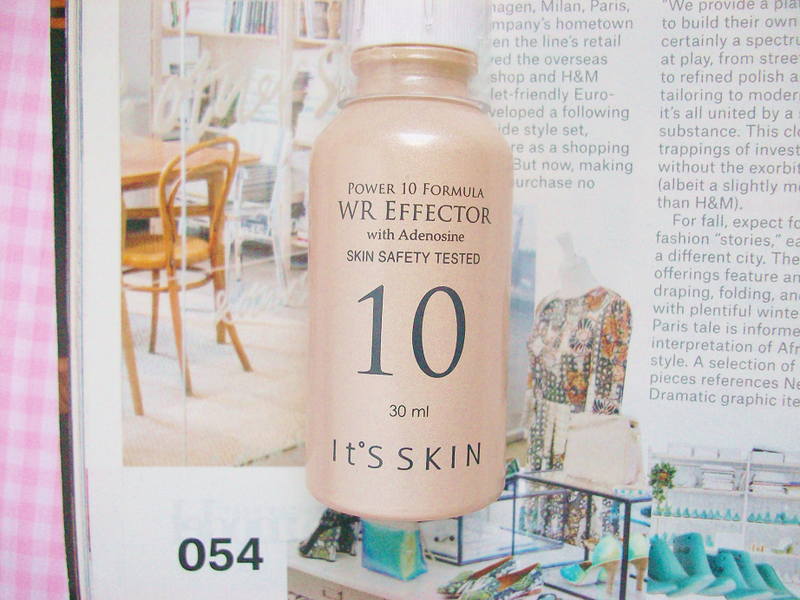 You can buy the It's Skin Power 10 Formula WR Effector here. 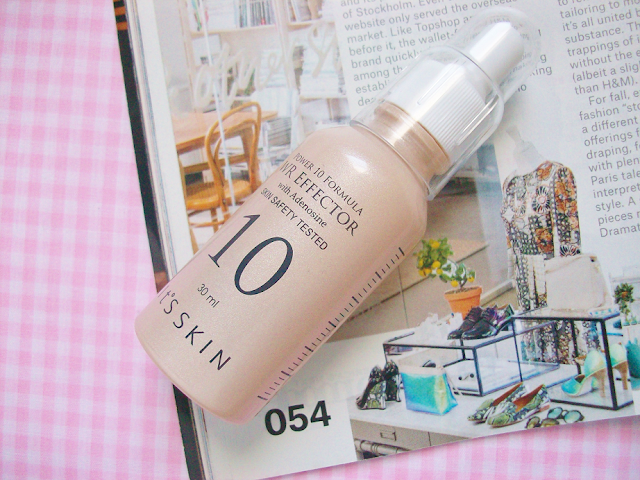 Have any of you tried some of the It's Skin Power 10 Formula Effectors?